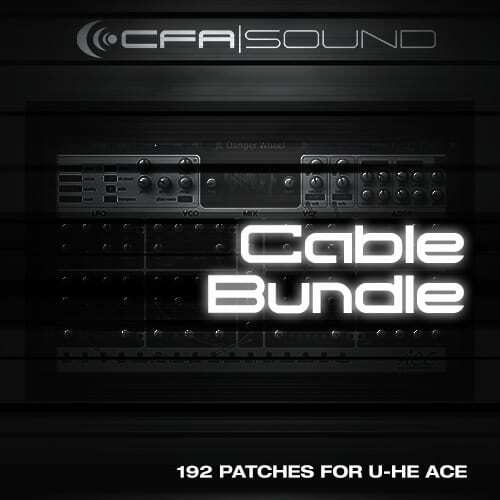 Welcome to the Cable Bundle for u-He ACE – 192 patches for ambient, house, minimal & trance by CFA-Sound for this one of a kind sounding analog modelled synthesizer by german synthesizer gurus of u-He. Let the cables dance! Not many synthesizers get well-known like th ACE so fast – why? Because the ACE sounds absolutely great and this soundset shows how analog and fat he can sound. The CableDance soundset includes plenty of phat basses and stirring synthsounds, alongside with rough sequences, weird fx-sounds and analog drumsounds. A must-have for everyone using ACE for electro, house & minimal! The second CFA set for ACE – 64 amazing trance sounds for the little cable-monster, hereby demonstrating again why it is the new reference among all vst-synths. Beautiful pluck sounds, outstanding key-synths, alongside with dynamic and massive leadsounds, together with pushing basses and amazing pads. This soundset shows just like the first one how incredible this synth is. This soundsets focuses on trance, house and also hardtrance. It’s arrived: CableSphere, the third CFA soundset for U-He ACE. This collection of carefully selected sounds includes smooth analog sounds, weird fx, groovy and straight sequences and, as a special: wavetable sounds! No, that’s absolutely right: due to it’s mapping generator ACE can use self-drawn wavetables, giving access to completely new sound facettes. I was just amazed as i heard the demo of the first sound set for the ACE, “Cable Dance”. 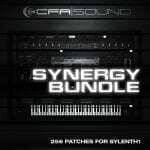 I got this synth brandnew so this soundset showed me how powerful this crazy thing can be. Never faced so many useful sounds in one set before. Meanwhile I own all the Soundset, “CableDance”, “CableForce” and “CableSphere” and I use them almost daily in my prodcutions. You don’t need anything else to create a cool club track! Zunächst wirkt das alles eher unaufregend und „normal“, aber im Zusammenspiel sind es genau die Sounds, die man prima als i-Tüpfelchen brauchen kann..